Sid Sullivan introduced his lovely wife, Joan. Jim Beckett had his 81st birthday on April 17. C.O. Scheffer celebrated his 10th wedding anniversary last week. Pat Brown will celebrate his 10th anniversary this Saturday. Mystery Person – Rick McKernan awarded this week’s gift card to Cyrilla Galbreath for all the work she continues to do on the scholarship awards. Greeter – C.O. Scheffer reports he missed last Monday’s meeting because his 7 year old son wasn’t feeling well. After taking him to the doctor, the son got a diagnosis of appendicitis requiring an appendectomy ASAP. C.O said the operation went well. His son was up and about in a day and was well enough to enjoy the family gathering this past weekend. Nominations committee is still looking for board and officer candidates. Reading of the candidate slate will be at the lunch membership meetings May 1st, 8th and 15th. A vote by membership present at the May 15th meeting will follow the final reading and the Officer election report will be sent to Optimist International prior to May 20. Hallsville Optimists– Announcing Cinco De Mayo event in May 5th, 7 to 11 PM. A flyer will be attached to the DO Clubs weekly emailed newsletter. There will be casino games and an auction as well as a taco concession. Cost is $10/person for bottomless margaritas and beer glasses. The event will be held at the Bob Lemone Bldg., 500 E. Hwy OO in Hallsville. New Member recruitment event – C.O. Mike Hatchet, Jessica, Travis C.O. mentioned a scheduling conflict requiring a change in the established meeting date from the customary first Thursday in May. Date and location will be announced later. New Members Acting Secretary Sid Sullivan announced 4 new member applicants, Donald Prevost, Nadia Ryakhmyatullov, Anthony Parisio and Leslie Parisio will be voted on at this Thursday’s Board meetings. Soap Box Derby – Rick McKernan emphasized the serious need for volunteers at this year’s derby. There will be 3 new cars racing this year bringing the total to 43 cars. The city requires Broadway be reopened by 6:00 pm so everyone has to do their part. 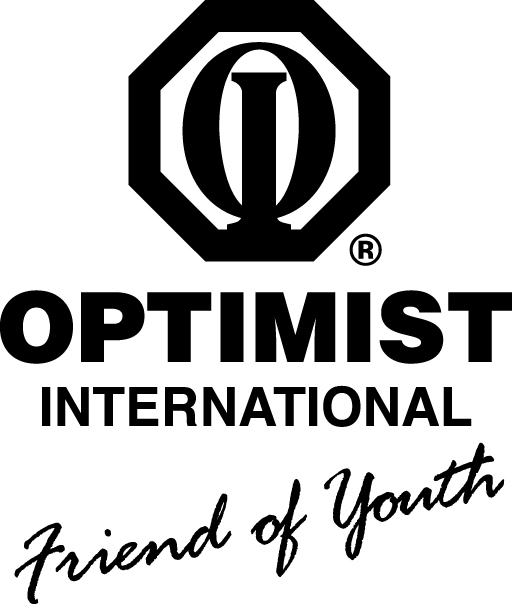 Volunteer drivers are especially needed from the Optimist for insurance coverage. He will bring the sign-up sheets at following meetings. Scholarship – (Cyrilla, Carl, Max) Cyrilla reported the scholarship recipients’ names have been given to the school counselors, 2 each from Hickman and Rock Bridge and 1 each from Douglas and Battle High Schools. The times of the awards are as follows: May 18 at 7:00 for Hickman, May 15 at 6:00 for Rock Bridge, May 17 AT 6:30 for Battle and May 19 at 10:00 am for Douglas. With the exception of the Douglas ceremony to be held at the Missouri Theater the schools will host their award ceremony on location. Food Bank – Larry Fick, Jim Murphy, Carl Scott – Larry Fick will ask Liz to meet the Optimist Board this Thursday for the photo-op she is requesting for her newsletter. Bike Safety May 20th – Mary Dewey repeated the Bike Safety event has been announced on the Columbia Public School Virtual Buddy Pack view by all the students. School posters are on the bulletin boards of the schools as well. Hot Box Cookies is offering 50 gift certificates for distribution to attendees. Additional appreciation gifts would be appreciated. Contact Mary if you know of a business that would like to participate with gifts or gift cards. Art in the Park – Harold Rowe (no update for this event.). Spencer Turner Commemoration – John Sapp reported Joan Turner called asking him to inform members of a special event this weekend in remembrance to Spence Turner. Friends and colleagues will gather to fish at Lane Springs Recreation Center (just south of Rolla) around noon on Saturday, April 22 to commemorate the place where Spence loved to fish and write stories. A short video about Spence can be view on the Conservation Federation of Missouri website and on its Facebook page. Optimists are encouraged to attend. Contact Joan Turner 573-474-6477 for more information. Junior Golf Tournament – Carl Scott thanked Jack Cruise for the work he is doing to promote the Junior Golf Tournament through the coaches and students of Columbia schools. This year’s tournament will again be held in St. Louis. Chord Busters Ken Oster made a special announcement that the Chord Busters singing group will be holding a special event on April 29 at 6:00 pm at the First Baptist Church. Tickets are $10.00, children are free. Ken is one of the outstanding members of this group. Hero Awards Luncheon Mary Dewey and C.O. Scheffer’s will have both been nominated for this year’s Hero Award for the work they have done volunteering in Columbia. The event will be held at the Stoney Creek Inn April 24th from 4:00 to 6:00. Tickets can be purchased at the door or online. The Center for Aging focuses on research, education and scholarship. It encompasses 30 departments, 6 schools and 5 colleges within the University system. Not long ago it was awarded a $70 million grant to be used for its work over a ten year period. So, it shouldn’t be a surprise Columbia was recognized by the Milton Foundations as the Top Small City in the country for health care. Peggy Gray is in charge of the STEP Program at MU Hospitals. The program of pairing older adults with 1st year med students is one of the many programs within the Department of Aging. Peggy noted the importance of this as 1 in 5 persons in Missouri will be over 65 years old by the year 2030. Missouri has an above average older population in the United States. There are currently .over 15,000 older adults in Boone County. The STEP program has grown in popularity over time as word of mouth spreads the rewards the program offers to students. When the program started in 2001, 21 older adults were paired with 96 first year students. Last year 71 older adults were paired with 108 students. This year the Med School will increase its first year class so more volunteers are needed. The program offers a chance for students to understand health care from a senior’s perspective; everything from a long waiting room wait to see a doctor to some of the medical concerns as the aging process requires more medical attention. Volunteers develop a relationship with the students as they progress through medical school and beyond. Our own Cyrilla Galbreath has participated in this program for 7 years and has maintained a relationship with most of those she has been paired with. The program entails an ice breaker and 5 plenary luncheon meetings with a formal medical presentation. Afterwards, the pairs make up their own schedules to get acquainted which could include meetings for lunch or coffee, dog walking, shopping or a walk on the Katy Trail or in a local park.